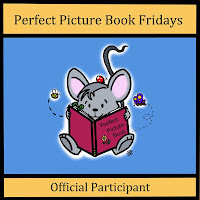 I am very happy to be part of the Picture Book Blog Tour for Ann Redisch Stampler. One of her previous picture books is already a favorite: The Rooster Prince of Breslov, Clarion, 2010. 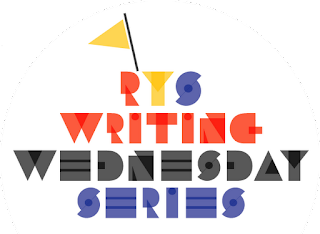 Ann also writes young adult fiction – click HERE to read about her book Where It Began, Simon Pulse, 2012. Ann prefers to read printed books – and she likes anything chocolate. 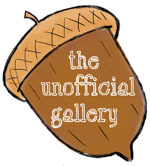 Read more about the author in an interview at Shelf-Employed. Summary: (from the publisher) Disguised in servant’s clothes, an Afghani shah slips out of his palace to learn more about his people. When he encounters a poor Jewish shoemaker full of faith that everything will turn out just as it should, the shah grows curious. Vowing that no harm will befall the poor man, he decides to test that faith, only to find that the shoemaker’s cheerful optimism cannot be shaken. But the biggest challenge of the poor man’s life is yet to come! What do I think? I love a good folktale, and this delight is new to me (hint for the lovely librarians at my library: time to put the folktales-rack back!). 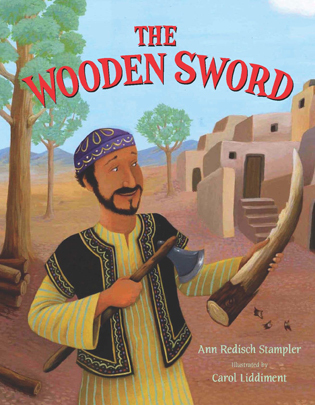 The Wooden Sword puts the reader through a range of emotions. Every time the shah pushes this poor servant, the reader is filled with worry and wonder, and each time pleasantly amazed at the servant’s courage and strength…and wit! The illustrations add so much about Jewish and Afghani culture to the story, that I know it will raise interesting questions from young readers. I almost wish an object-identification-map were included for some of the spreads! 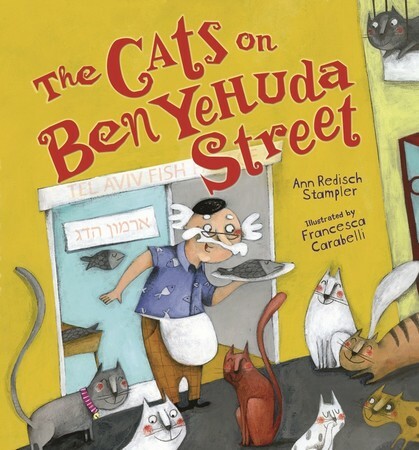 Summary: (from the publisher) There are lots of cats on Ben Yehuda Street, but it is the friendship between a little grey cat with a pink collar and a fluffy white stray cat that brings two lonely neighbors together. What do I think? Unfortunately I am still waiting to review this book – hurry up Ms.Postperson! The smiling cat illustrations (and look at those tails!) on the cover would be enough for me to pick this one up. I was intrigued by the setting too, having once hosted an exchange student from Tel-Aviv (Hi Miki!) when I was in high school. Should it arrive today, you can bet I’ll revise this post within the hour! Fingers crossed! IT”S HERE! Thanks, Ms. Postperson! This is a sweet story of neighbors reaching out in their own way, in their own time. Did I mention all the cats? “Free cats, fat cats, living-on-the-sidewalk cats.” The illustrator paints life into the characters and setting with good use of texture and layers. As in The Wooden Sword, a few symbols of the character’s culture are shown, like the hamsa amulet hanging in Mr. Modiano’s apartment. And I got to learn a little Hebrew too, as Mr. Modiano says, “Lo, lo, lo.” Always. Here are some links to purchase, but I hope you will ask at your local independent bookseller first!